You are currently browsing the archive for the Emigrant Life category. What is ATriptoIreland.com About, Anyway? The Blog Awards Ireland is an annual award the recognizes excellence in Irish blogging. I’m happy to announce that ATriptoIreland.com is a finalist! ATriptoIreland.com qualifies for the “Best Blog of the Diaspora” category in the 2014 Blog Awards Ireland. Last year, I made it to the longlist round of the competition; this year, the blog has made it all the way to the finals. I’m honored to receive this recognition and acknowledgement. An Irishman Abroad: A Tree Fell on My House! I’ve slowed down, nay almost stopped, blogging over the past two weeks. The reason is unusual and unfortunate: a tree fell on my house. Yep! We had a 120+ year-old cherry tree behind our home — Grandma Cherry we called her. I’d been concerned about having a tree of this size too close to the house, but held off on doing anything too drastic because our kids loved the rope swing we’d hung from her many years ago. I just pruned deadwood and removed some limbs that overhung the house. Pancake Day: Can You Flip a Pancake? Tomorrow is Shrove Tuesday, the last day before the start of Lent. In Ireland, it’s more popularly known as Pancake Day. 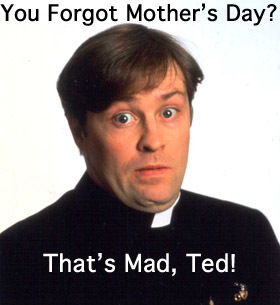 Ah, Mother’s Day is a bittersweet holiday for Irish emigrants for several reasons. The bond between a child and their mammy is usually very strong, so this is a time when we think of the family we left behind and get all maudlin and stuff. What’s an emigrant lad to do when Irish Mother’s Day is two months before the American one? Here’s a post for ex-pats and fans of Irish music and literature all over the world. Where do you order Irish books & music when you’re outside the country? I must be the only Irishman in the world to have ever bought stones. 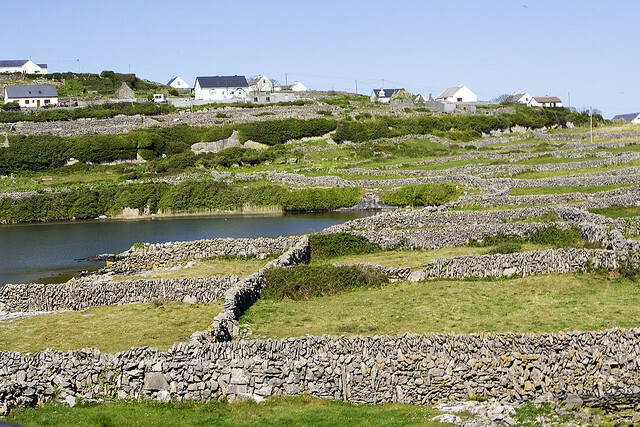 Stone walls in Co. Clare. It all started when we decided we wanted someplace to sit out and have dinner or a few drinks when friends came over. Postcodes in Ireland: The End of the World? 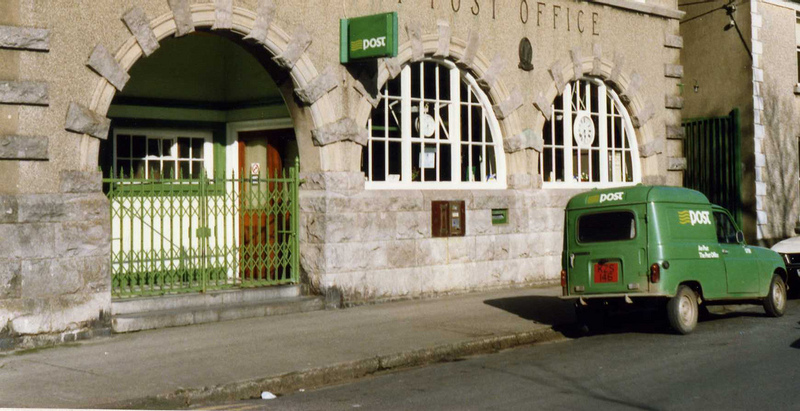 The classic Renault 4 post office van of my childhood. 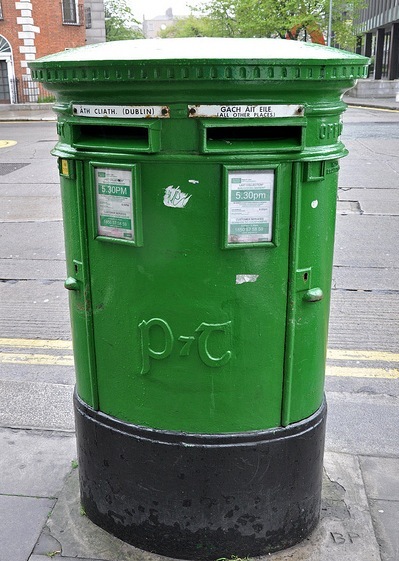 In 18 months, Ireland will join the many countries who use a postcode in all mailing addresses. It seems like a small thing, just another piece of data in our ever-more-data-driven world, but it’s also a reminder that Ireland’s population is much larger than it used to be, larger and more complex. The fear is always that the changes necessary to deal with this growing population are causing us to loose much of what made Ireland distinctive in the first place. The need for these postcodes reflects the post-Celtic Tiger landscape of sprawling housing estates, commuter suburbs, and the pricing out of younger generations from their newly affluent home parishes. This week’s Irish Times report on the plans for new postcodes cites the difficulty of delivering the post in rural parts of the country where “detailed local knowledge” may be required. This made me laugh, because detailed local knowledge was simply considered common knowledge where I grew up. Our townland was rural, a network of unmarked roads and little villages, and we had one local postman who knew everyone. This in itself was nothing remarkable, because everyone knew (or knew of) everyone else. We walked or biked around as kids and knew who lived in every house. With our parents, we called in on many of the old people who lived alone, that was just being neighborly. I’m sure our postman had a difficult job — after all, most of the families in the area shared the same three or four last names — but he stopped to gossip along his route, and knew everything and everyone: who was getting married, who was having a baby, and where they were going to live. Our parish escaped the worst of the Tiger building boom, but there are still more new houses and small developments in the area than there used to be. When I’m out for a walk with my mother, she doesn’t always know who lives in some of the new houses, or what their story is. Our current postman doesn’t ever have time to stop or gossip — nor would many of his customers have time to indulge in a chinwag over the gate themselves. The local church is packed on any given Sunday, but most are new to the parish. The scale of life is changing, and postcodes seem to be a necessary way to keep track of it all. I know the situation is much worse in other parts of the country. I have friends living in some of the huge estates that were built nearer to Dublin (or half-built, if started too close to the end of the boom) and they don’t always know everyone on their street, never mind their neighborhood. In that respect, the need for the new post-codes makes total sense, after all every building will have a unique identifying number, so theoretically there should be no more lost or misdirected mail. But, the odd unfamiliar letter or garbled address used to be a bit of fun for all concerned: the confused postman (and they were always men as far as I can remember) calling to the door and asking if anyone recognized the name would always lead to a discussion of the neighborhood and who’d moved away, and was it to England or America, where might their parents be found, and wasn’t it only shockin’ that the young had to emigrate… That’d never happen in most places now, as most of the residents wouldn’t be able to be of much help to the postie. Happily, the Tiger hasn’t killed the old neighborliness everywhere. The boom forced my brother to move out of Dublin, as a single person’s salary couldn’t secure a mortgage in those days. He lives in Leitrim now, several miles out from the nearest town, and when I visit him, he can tell me all about his neighbors as we drive along. Leitrim is a colorful part of the country now, as the relatively cheap house prices were a draw for artists and non-conformist types who didn’t need or want to be within commuting distance of Dublin. The relative absence of Tiger-estates seems to have enabled the pace of life to remain steady in Leitrim; the population may be changing due to the increase in blow-ins, but the scale of life remains somewhat similar. When I see articles decrying the death of the Irish way of life, the death of the pub, or the death of whatever, my experiences in places like Leitrim remind me that although things are changing, there are parts of the country that have not been changed unrecognizably by the arrival of broadband, multinational corporations, dense development, and shifting demographics. The neighborliness and community bonds that are part of the national psyche are not dead, nor have they been changed irretrievably by the Tiger, although in places the congestion and pace of life has certainly made it much harder to get to know the neighbors.